While recording good video requires equipment, luckily that equipment doesn’t have to be costly. Pairing the appropriate equipment, even on a small budget, with good technique puts you on track for good looking video. 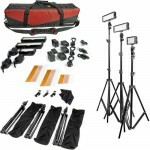 At the core of any video kit are a few core items. You’ll need your recording device, some sort of support, and a microphone. Adding extra elements, such as lighting, opens possibilities for new locations and improving your image. As equipment increases in cost, not only does the quality of the recording improve, from a bigger video sensor or better microphone capsule for example, but also more features are added or moved from automatic-only operation to user-controllable giving more flexibility to the operator. 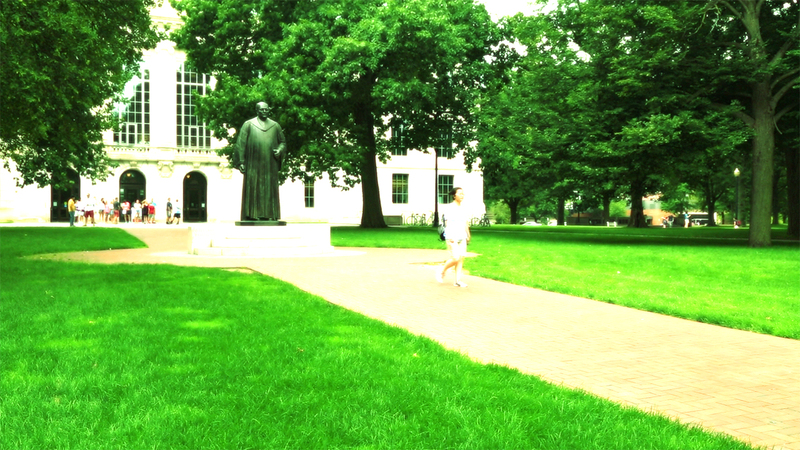 However, your budget is usually the deciding factor as to what route you take. Below are five equipment kits at different cost and capability levels comprised of my picks for best bang for the buck components with additional device considerations at the end. If you’re just recording a talking head lecture or module from a location like an office, you don’t need much more than a webcam. While most laptops have webcams, many times their quality leaves something to be desired. An external webcam will also give you the flexibility of more placement options. To get the best sound, use a dedicated mic rather than an integrated one. Bad audio is noticed long before bad video. 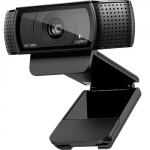 A fantastic 1080p, cross-platform plug and play webcam with a stereo mic and ¼” 20 tripod mount. For half the price of the C920, the C525 provides 720p recording, a mono mic, and ¼” 20 tripod mount, but is only officially supported in Windows. 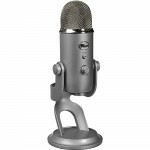 One of, if not the best, USB microphones on the market perfect for voice recording whether it be a lecture, podcast, or interview. With four pick-up patterns to choose from and a built-in zero latency headphone jack for monitoring, the Yeti is a superb purchase. 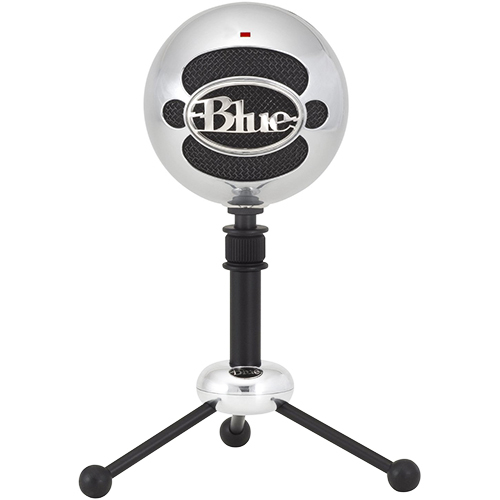 An optional shock mount is also available and you may want to consider a pop filter such as the WindTech PopGard. Having only two pick-up patterns and no headphone jack, the Snowball still sounds fantastic for half the price of its bigger brother. 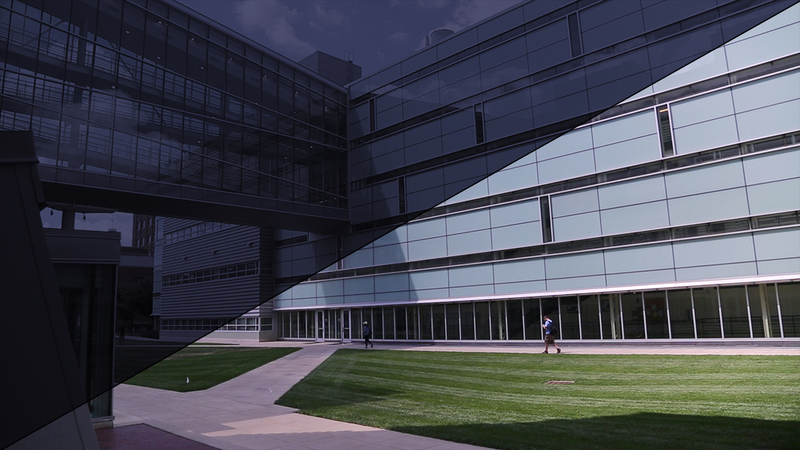 With the prevalence of smartphones and the ever-increasing quality of their integrated cameras, many walk around every day with the ability to record full HD and even 4K video in their pocket. 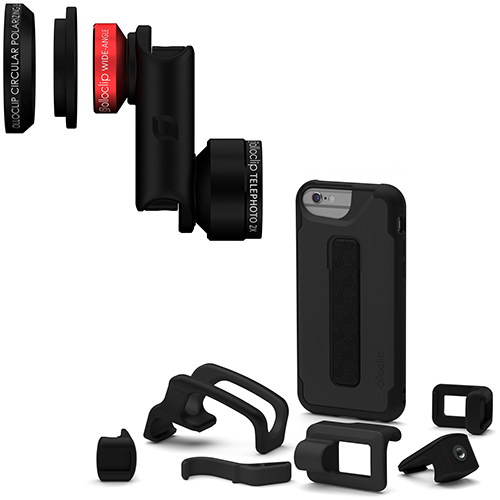 If you’d like to leverage the power of your smart phone, here are some accessories that will take your phone’s video to the next level. *With the multitude of manufacturers for Android phones and Apple’s general standardization of their phone chassis, the majority of smartphone video accessories are built for iPhones. Due to this, I have focused on iPhone accessories. 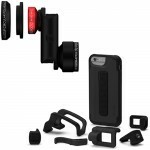 OlloClip makes polarizing, fisheye, wide-angle, ultra-wide, telephoto, and a variety of macro lenses that clip onto your phone in addition to cases that pair with their lenses. 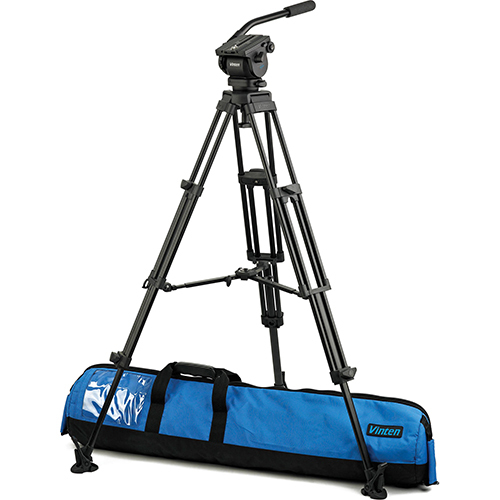 I recommend the Studio case that comes with a ¼” 20 mount if you want to use your phone with a tripod. GorillaPods make wonderfully versatile mounts that double as a tripod and flexible mount for attaching to unusual surfaces. 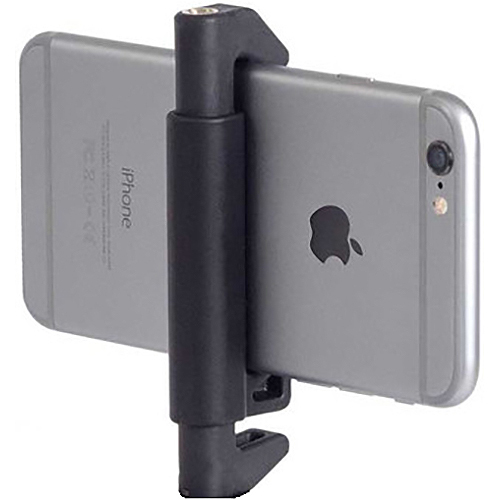 The Glif is a simple little mount that can be used on most smartphones thanks to its clamp-style design. It provides you with a ¼” 20 mount to attach to your standard mount of choice. 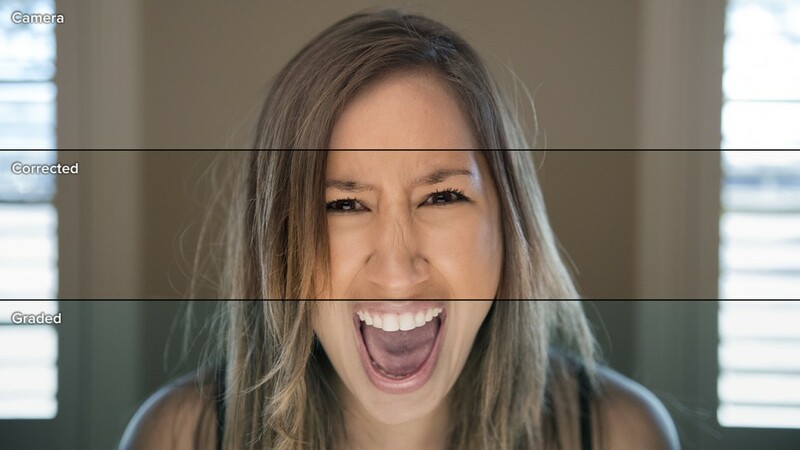 Supplementing the flash on a smartphone can be one of the biggest boosts you can give your phone’s camera if you’re shooting in any location that isn’t very brightly lit, as most smartphone cameras struggle in low-light environments. The Pocket Sunlight simply plugs into your phone’s headphone jack to mount and comes with an internal, rechargeable battery so it won’t drain your phone’s battery. 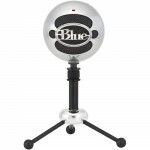 Getting the mic as close as possible to your subject, thereby eliminating extraneous noise, is always preferable to using a mic with a wide pick-up pattern, unless you need to capture the ambient sound. 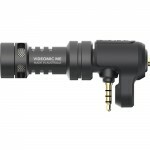 RØDE’s SmartLav+ is a TRRS (Tip Ring Ring Sleeve) 4-pole lavalier mic for recording a single subject. Should you need to capture ambient noise as well as a speaking subject, RØDE’s VideoMic Me is a directional microphone that will do the job nicely. It is also a TRRS 4-pole microphone. Another option, if you have an iPad that you’d like to use for recording, are kit systems that combine a case, lens, microphone, light, and other accessories that are custom assembled to suit your needs. Also available for iPhone 6/6S. 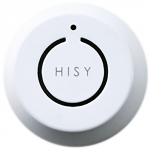 If you want the flexibility of starting and stopping recordings without having to be within reach of your phone, consider one of these Bluetooth remotes. Both of these are compatible with iOS and Android. 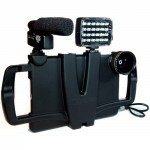 This kit will get you the flexibility of a video camera without investing a good deal of money. 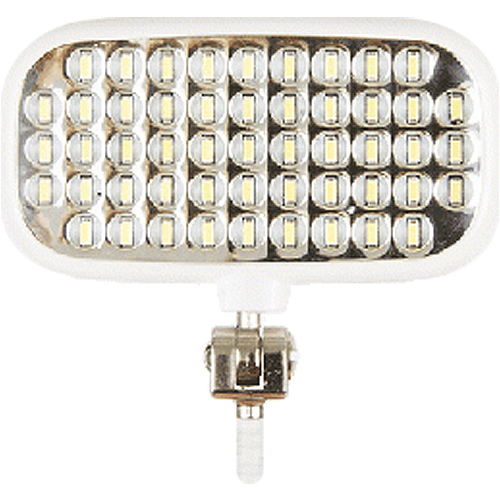 While the components are budget-oriented they are still fantastic products for the small amount they cost. 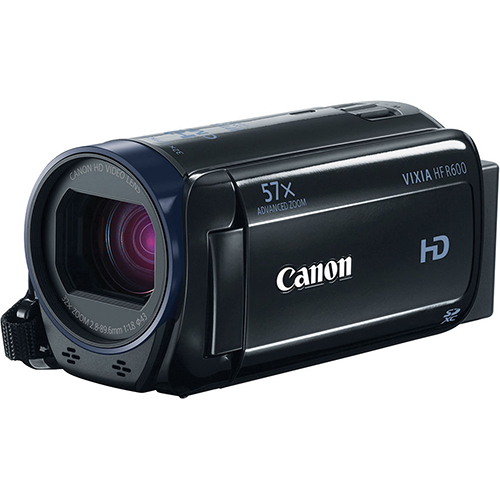 With a 32X optical zoom, 5 lux minimum, 3.5mm mic jack, and the ability to accept 43mm filters this camera provides many features that other camcorders lack at the $200 price point. 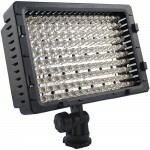 A fluid-head is a must for smooth pans and tilts when shooting video. 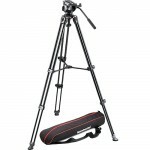 This tripod also comes with a mid-leg spreader increasing its stability. 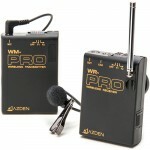 A good, budget VHF wireless lavalier microphone system with a headphone monitor jack and shoe mount. 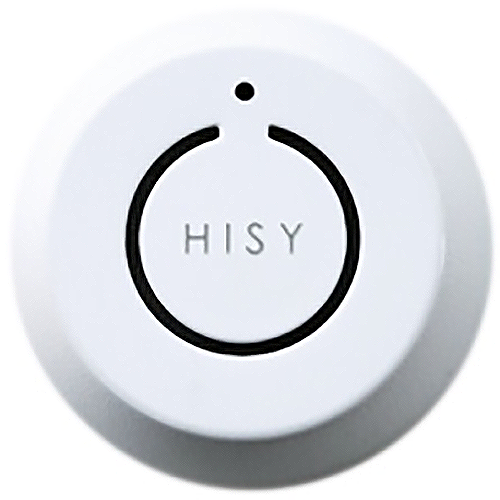 While it only has a single channel, there are two frequencies to manually select from for avoiding interference. 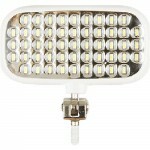 NEEWER is a great budget accessory brand and their CN-160 daylight, dimmable LED light is a brilliant product. The light shoe mounts, is powered by common AA batteries, and comes with a slip-on diffuser and tungsten adjustment diffuser. 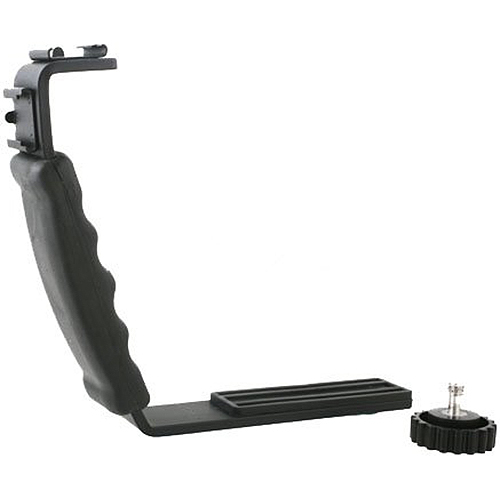 This bracket allows you to add two shoe mount accessories to the camcorder, which lacks a shoe mount itself, while keeping a ¼” 20 mount available on the bottom. 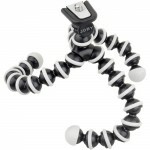 If you need to go mobile with the camera and still use your accessories, the convenient handle works quite well. 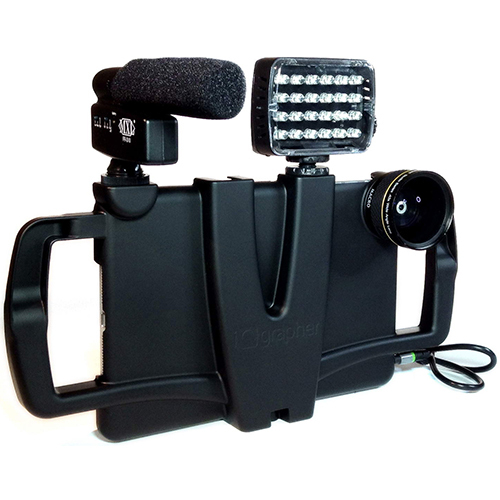 If you need more flexibility in your control over the camera and are looking to upgrade the accompanying components, this kit takes you to the prosumer level with a full-size (non-ENG) camera. 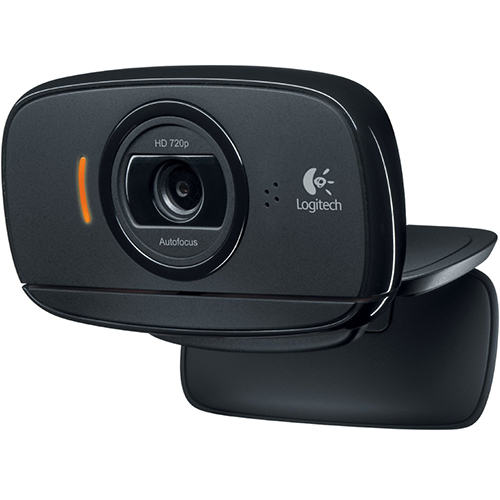 With optical image stabilization, 10X optical zoom, and a 1/3” sensor this camera shoots beautiful video while still retaining consumer convenience features such as face-tracking focus. Surprisingly Canon has added pro-features that I did not expect to find, such as focus assist, peaking, and manual color temperature setting in 100K increments. 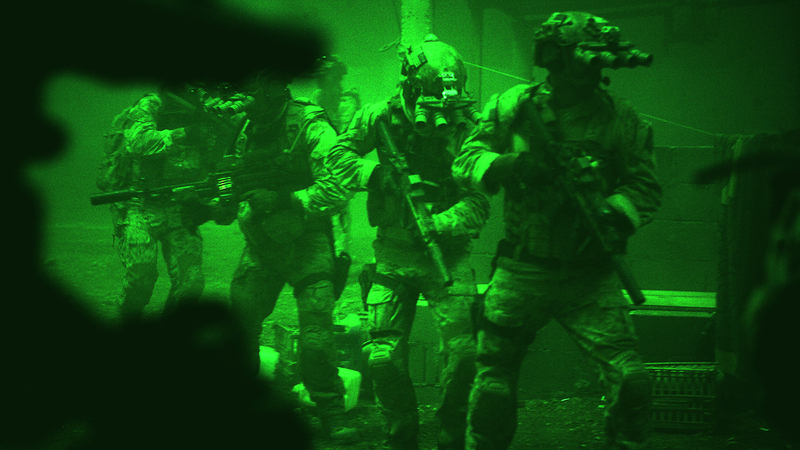 Some may find the infrared mode very valuable depending on the type of material they need to record. 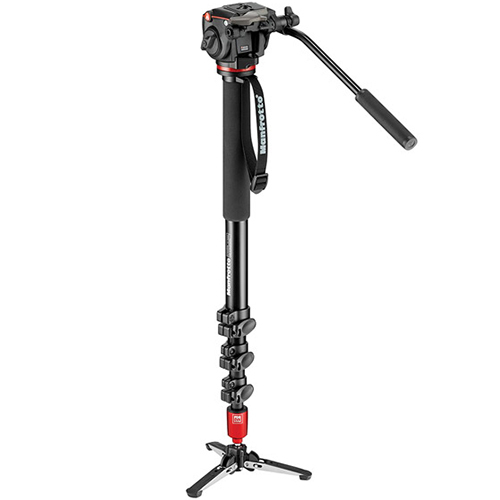 Manfrotto tripods are the industry standard for entry to mid-high end supports. 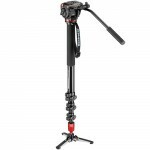 This pairing of legs and fluid video head are a great combination that are rock steady, smooth moving, and will last you a long time with their 10 year warranty. 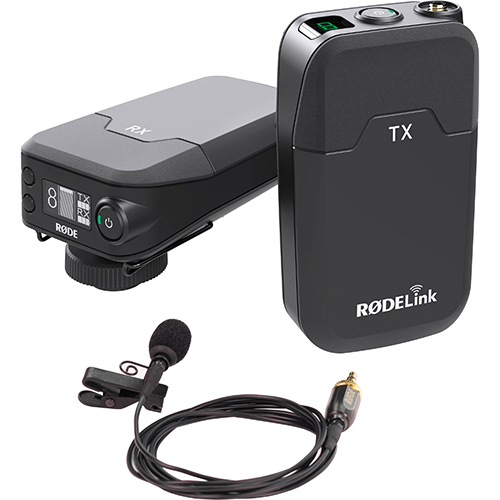 RØDE, a fairly recent company in the pro-audio business that you’ll see several times in this section, makes fantastic mics and accessories at good price points. Their wireless lavalier kit brings highly desired features over my budget wireless mic system with encryption, auto-frequency adjustment, gain control, and up to a 100 meter range. 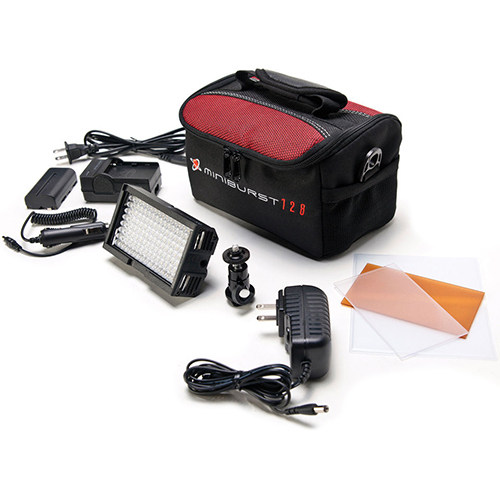 A step up from the NEEWER LED light, Digital Juice’s Miniburst line adds rechargeable batteries, AC power option, metal housing, and a few accessories for mounting with each light. If you’re looking to spend a good deal of cash on a professional kit, you probably don’t want to blindly take my word for it and should do your own homework, even renting the cameras you’re considering first. That said, these are my tested (used on a daily basis) choices for ease of use, flexibility, features, and price point. 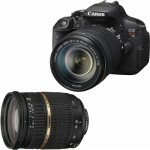 Essentially a great sensor of a DSLR transplanted into a video camera body, but still at the cost of a DSLR. The C100 is a utility workhorse that I have been using for the past few years and am very pleased with; good ergonomic design, programmable buttons, ND filter, 1080p60, up to 102,000 ISO for amazing low-light with very little grain, and a beautiful image straight out of the camera before color correction/grading or using Canon Log. The sensor is however only a Super 35mm and not full frame. 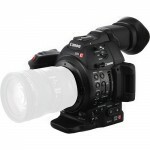 If you want to shave a couple thousand off the price of the camera, consider buying a used Mk I C100. The differences between the generations are fairly minor. Upgrading to the C300 gets you SDI connectors over HDMI and the C500 moves you into 4K recording, but each of those jumps increases the cost significantly. 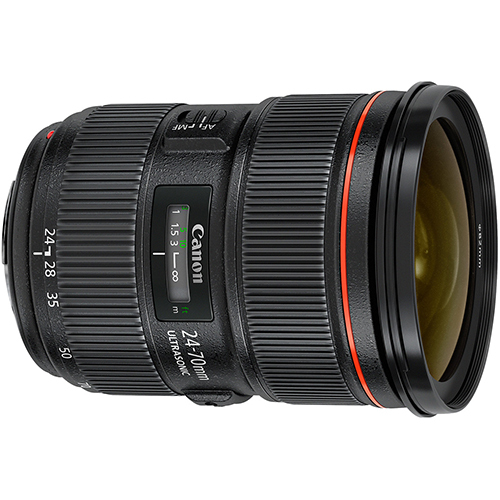 Canon L series glass are great lenses and the 24-70mm is the perfect bread and butter lens for talking head and general composition shots. The flexibility of having the f/2.8 over the f/4 is worth the extra money, if your budget allows. I’ve been using various Vinten tripods for a couple decades now and they’ve been the most reliable, well-built tripod systems I’ve come across. However, the quality of the Manfrotto tripods I’ve used recently will certainly put them into consideration next time I need to replace an aging Vinten. Take a look at Manfrotto’s 526,545BK and 504HD,536K systems as alternatives. I regularly use a variety of RØDE mics in my productions and they’ve all been well worth the purchase. 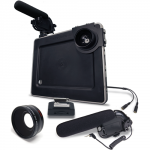 Their wireless lavalier kit is a great on-camera option. For portability, battery life, and heat production (or lack thereof), LED lights are the best choice. Digital Juice has a nice little three point lighting kit to cover most basic interview and talking head setups. While there are more expensive options, like Lowel’s Blender that are great lights, most don’t have a battery-powered option without spending significantly more per light that also requires significantly more expensive batteries. 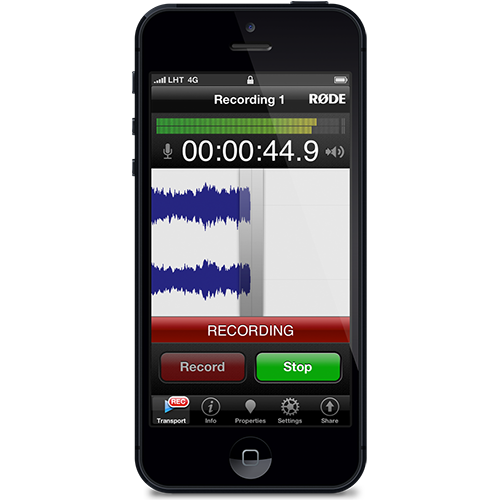 If you’re looking to just record audio, you can either go the smart phone route or with a dedicated recorder. 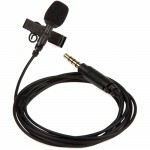 3.5mm TRRS 4-pole lavalier mic for recording a single individual. Lightning connector stereo microphone suitable for interviews and single speaker with ambient sound. Includes integrated headphone monitor jack. 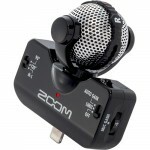 3.5mm TRRS 4-pole directional mic for recording a subject at a distance. 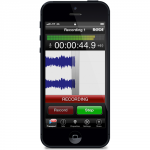 A fully functional recording app for iOS that supports 24-bit 48kHz stereo recording, EQ, live input monitoring and robust editing functionality. 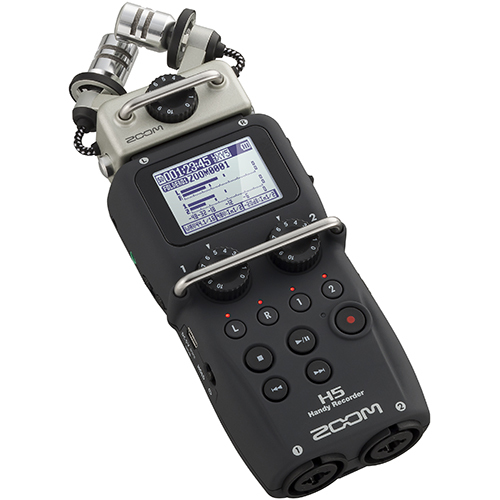 While the earlier generation H2 and H4nsp recorders from Zoom are still available, I recommend the H5 for the flexibility of having interchangeable mic modules without having the inflated price of the new H6. A DSLR-based kit isn’t included since I wouldn’t recommend going that route unless you already had a DSLR you wanted to use for video. That being said, if you really wanted a DSLR kit, I’d suggest a T5i with a nice zoom lens and Magic Lantern to expand the capabilities as a budget-conscious combo. 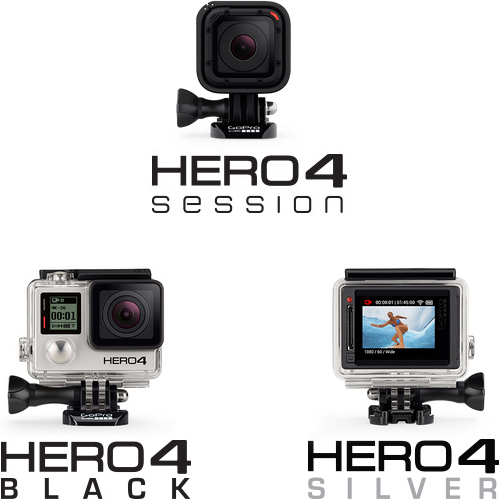 While action cams record audio and are conveniently sized, their go-anywhere design limits general purpose functionality. If the project you’re working on requires a tight quarters recording, dangerous-to-the-equipment placement, POV perspective, or a feather-weight device then action cams are a perfect choice. 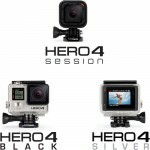 With the popularity of GoPros, there are a huge number of accessories for them, which usually work across generations. All of those accessory options makes GoPro my suggested action cam. 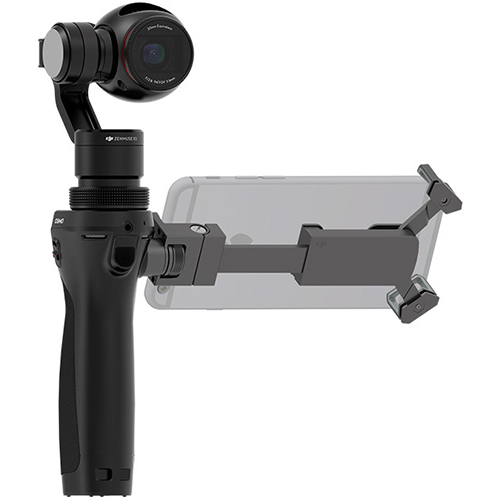 DJI recently released their OSMO camera that uses the camera technology from their drones to provide a handheld, gimbel-stabilized, 4K camera with external audio input. If you’re doing a lot of mobile field recordings this is definitely a camera to consider. 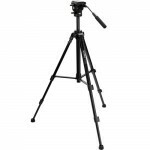 While not useful for presentation recordings, if you’re capturing lots of demonstrations and walkthroughs a monopod may be useful to allow for easier movement from shot to shot. 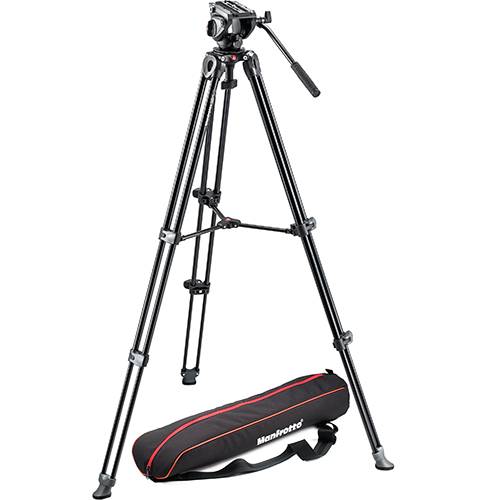 I recommend the Manfrotto MVM500A built for video recording. If you’re looking to record for an extended period of time, record in a higher quality file format than your camera supports internally, or would like to add an external monitor with features like peaking and false color, then a digital video recorder is what you’re looking for. 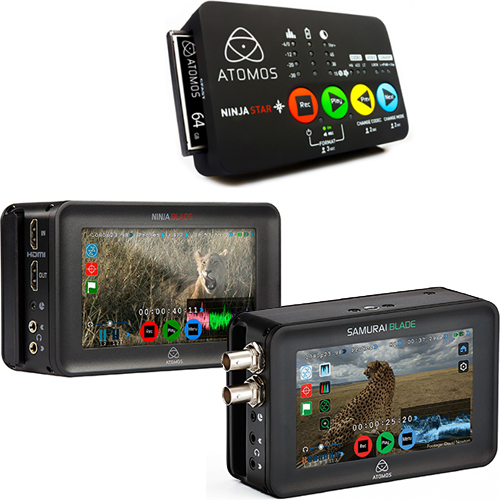 Since discovering Atomos at NAB, I’ve been very pleased with all of their products I’ve used as well as have been impressed with the features they’ve packed into their devices for the price. The Ninja Star adds ProRes recording and playback via mini-HDMI while its big brothers the Ninja Blade and Samurai Blade pair ProRes and DNxHD recording with a REC709 touchscreen monitor. The Ninja Star uses CFast cards while the Blades use 2.5” HDDs. 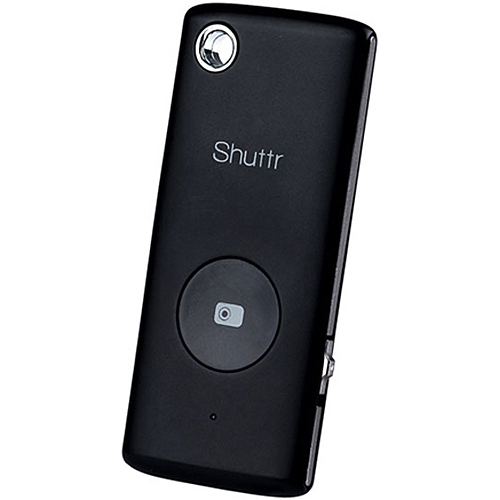 As digital video recording has matured three primary memory form factors have been adopted by the industry; SD cards, CFast cards, and 2.5” hard drives. SD cards have been out for a long time and have been embraced by consumer, prosumer, and even entry-level professional devices. 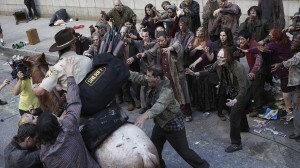 Aside from getting faster with higher capacities over time they, like all media, they have gotten physically smaller. While smart phones and tiny recording devices like action cams use microSD cards, due to the device’s diminutive size, the industry standard is still the original full-size SD card. The capacity of SD cards has grown taking the standard through three generations; SDSC (SD), SDHC, and SDXC. Each step saw an increase from a maximum size of 4GB with the original SDSC (SD) cards, to 32GB with SDHC cards, and now 2TB with the current SDXC category. SDXC and SDHC are backwards compatible, but most devices are not forwards compatible. So, ensure you buy the appropriate format card for your device. SD card read and write speed is rated by Class. While you can get away with a Class 4 or 6 SD card for 1080p30 recordings, depending on the device, I recommend a Class 10 or UHS-1 card to ensure that it can keep up with the data stream from the device. With memory as cheap as it is, yielding a 128GB UHS-1 SDXC for around $60, there’s no reason to skimp and possibly be faced with bandwidth problems down the road. A handy guide for comparing SD card speed to recording needs is available from the SD Association. CFAST cards are the current generation replacements for Compact Flash (CF) and P2 memory cards. 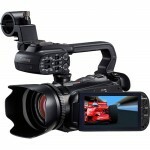 Professional cameras, both still and video, have historically been slow to adopt new recording media. Even cameras as recent as the EOS 5DS still have a Compact Flash slot and you can still buy video cameras today that utilize P2 and microP2 cards. With CFast these have been consolidated and brought up to par speed-wise with the consumer oriented SD cards that are so prevalent. Unfortunately, CFast cards still tout the professional price tag, running an average of $250 for a CFast comparable to a similarly quick 128GB SDXC UHS-1. They are, however currently capable of faster speeds as UHS-3 Class SD cards haven’t yet hit the market. Video files get big fast. File size tied together with the required speed for recording 2K, 4K, and beyond lends hard drives (HDDs), especially solid state drives (SSDs), to being perfectly suited as a cost effective recording media. 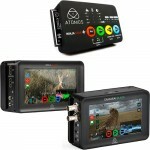 Both of the Atomos Blade recorders mentioned earlier use 2.5” HDDs rather than flash memory cards. As with the SD cards, memory is cheap, and you can get a 1TB SSD starting around $300 to use with an external recorder. Compared to the high cost of CFast cards and the trailing capacities of SD and CFast cards, SSDs are my media of choice when I can accommodate an external recorder. Traditional platter 2.5″ HDDs, while cheaper, don’t stand up to rough handling and impacts, so when budget allows I always default to solid state memory. Hosting is free and the interface is social media-oriented and tailored for discovering content. YouTube places a focus on faster playback start and all videos are automatically transcribed and captioned. Being owned by Google, videos are also search engine optimized (SEO) on searches using Google and ranked higher in the results. Vimeo’s free tier has very limited options and a very small weekly file size cap. 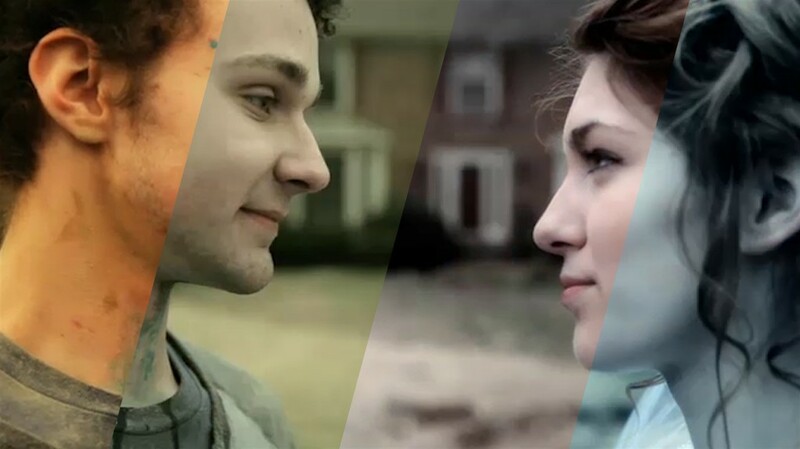 Focus is placed on video quality, defaulting to HD, and a more professional layout. 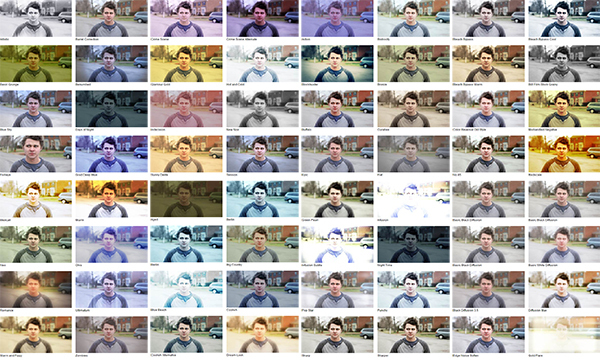 A different compression method yields sharper videos. Vimeo has the ability to replace a video without creating a new URL, resetting views, or resetting comments and Likes. For a good overview of what a codec is and some of the more common formats, Videomaker has a nice article. 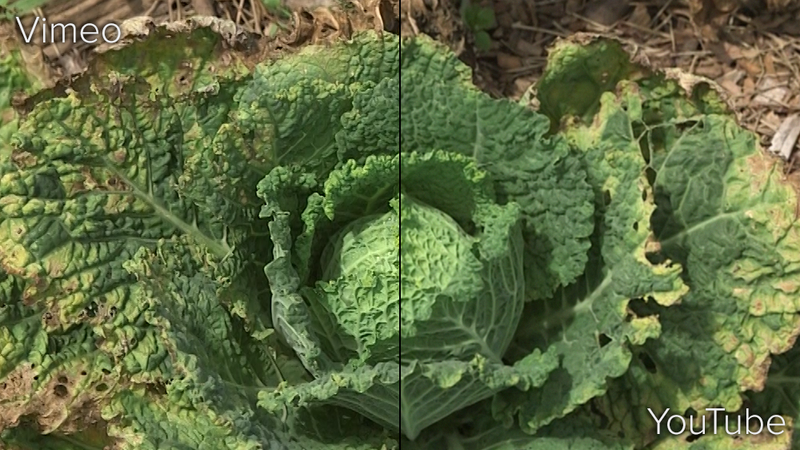 If you’re interested in a deeper dive on how codecs work including information on bit depth, bit rate and color space, David Kong made a great video available here. 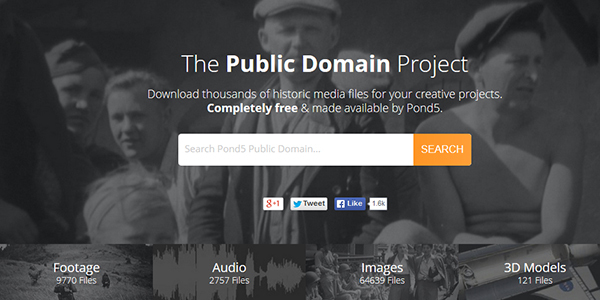 Pond5, a royalty-free stock asset vendor we use frequently, has just launched a new Public Domain Project. In it are tens of thousands of audio, video, image and 3D files of historic aoccurances, all free to download and use. Check out the project and the rest of their offerings. 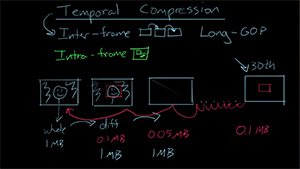 Vimeo launched a new set of instructional videos in their Video School. The topic they’re tackling? Mobile video. They also have a decent Video 101 series. 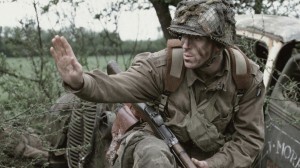 John Hess from FilmmakerIQ.com has a great multi-part course on audio production covering the science of sound, recording and post-production. 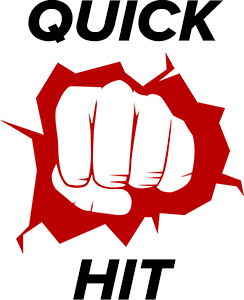 I introduce to you QuickHits; delicious little nuggets of knowledge goodness. BARKERGK posted a walk-through over on Instructables.com on how to make a slide converter for your cellphone, and for only $10 no less. With the availability of commercial slide converters very rapidly decreasing, this is a great way to convert those old slides you found in the attic while hiding Christmas presents. Tuesday Instagram launched a new app, currently for iOS with an Android version planned, that easily creates hyperlpase videos. What’s it called you ask? Hyperlapse, of course. 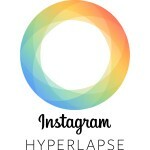 What exactly is hyperlpase? Hyperlapse is a type of timelapse photography. In traditional timelapse footage, or a series of still images, is sped up in post-production to create a fast motion sequence. 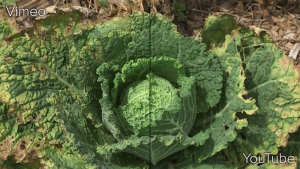 Hyperlapse alters the position of the image frame-by-frame to create a smooth motion tracking sequence in fast motion. 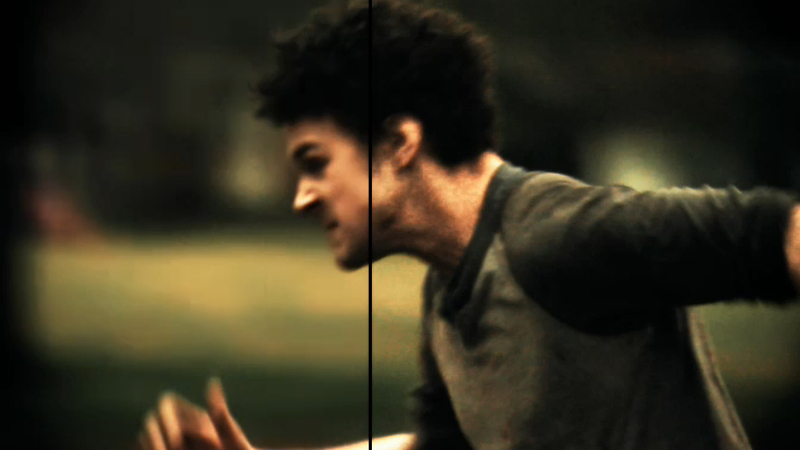 Check out their promo video for some examples and comparisons with normal footage. The end image is smaller, or what would appear to be more zoomed in, than the original since there needs to be leeway to rotate and pan each frame. What’s unique about Instagram’s new app is that instead of using image processing to stabilize the image it’s using data from the gyroscope in your phone. This save the traditional heavy computational requirements to plot a course through the frames of video. Instagram has an in-depth explanation of the technology behind their app available on their engineering blog. 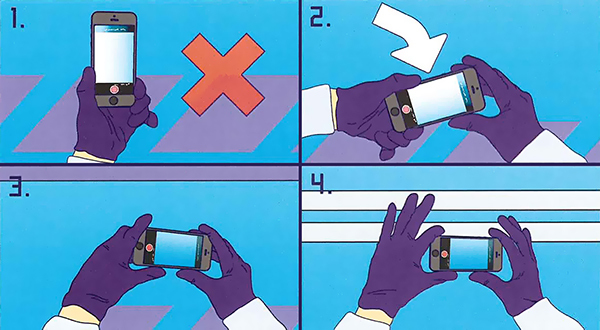 There’s tons of accessories and gadgets available for smartphones to make them capable of very high quality recordings, but photographer Lorenz Holder shows you seven tricks to help create some awesome stills and videos. I had several Why didn’t I think of that? moments while watching. 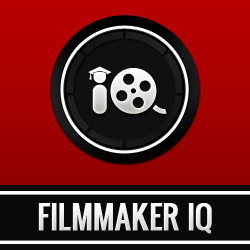 Lastly, FilmmakerIQ.com has fantastic, regularly updated lessons and tutorials about filmmaking and related topics from the science of sound to DIY equipment construction. Today we’re going to take a quick look at a handful of useful tools to enhance your post-production workflow and help take your videos to the next level. The ability to easily create open captions, commonly referred to as ‘burned-in’, which are always visible is surprisingly absent from most editing software. While out-of-the-box tools exist for creating titles, using these tools is a long and laborious process for authoring captions. Thankfully plugins for After Effects, Premiere Pro, Motion, and Final Cut have been created to do just that. These plugins import SRT caption files, a common format supported by YouTube and many other web video platforms. Provides full control over the font & layout and is widely compatible; After Effects CS5-CC, Premiere Pro CS6-CC, Motion 4-5, & Final Cut Pro 7-X. While cheaper, pt_ImportSubtitles isn’t quite as widely compatible as SUGARfx. 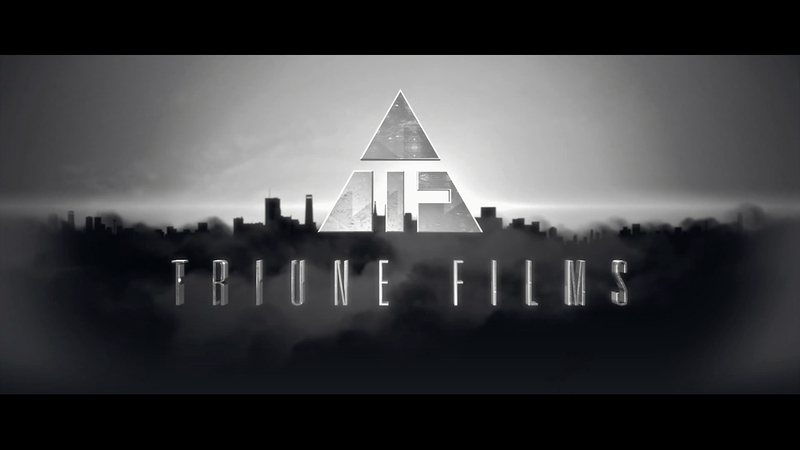 This plugins supports After Effects CS3-CS6. Creating motion in still images brings the image alive when being used in video, but you can only go so far with the Ken Burns zoom and pan technique. Rowbyte has created a pack of After Effects plugins that allow for creation of depth in 2D images and video. The two you’ll get the most use out of with still images are the Camera Mapper and Rack Focus. If you’re not yet fully into color grading, but would like to do more with your videos in After Effects, Film Riot has a pack of 15 presets available. These presets are click to apply simple and cover a large range of styles including a daylight white balance correction. 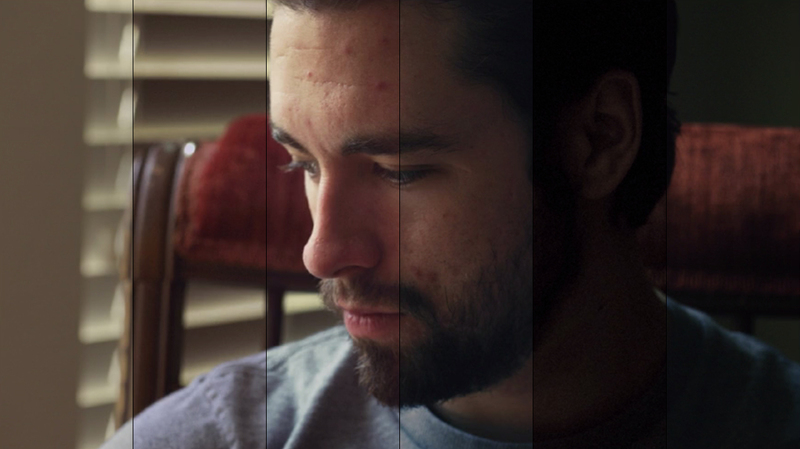 Before making the jump all the way to full-bore color grading with SpeedGrade, Resolve, Colorista or REDCINE-X, Red Giant has a nice middle ground with over 100 look presets and light-weight grading controls. If you have to deal with grainy footage whether it’s low-light footage shot at very high ISO or old analog recordings, Red Giant’s Magic Bulllet Denoiser II does an amazing job with the available presets and provides fine control for customizing the output.